What an absolutely perfect day for baseball. Sunny skies, warm temperatures, a jam packed stadium filled with very passionate fans for both teams ready for the show down between two AAC rivals. Word of free admission for the first 15,000 spectators brought fans from all over the southeast, including one important fan from Alabama. 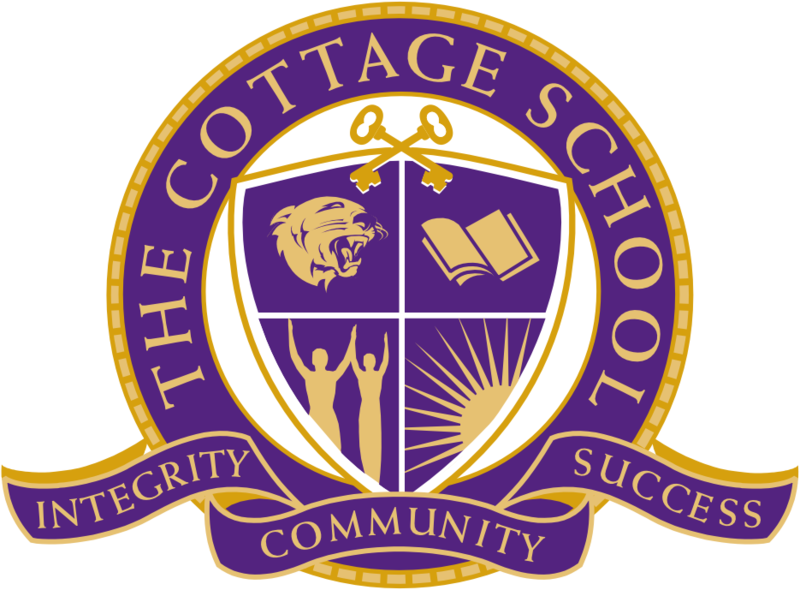 Yesterday your young and mighty Cougars defended the Cougars Den from an onslaught of feisty Mustangs from Mill Spring Academy. 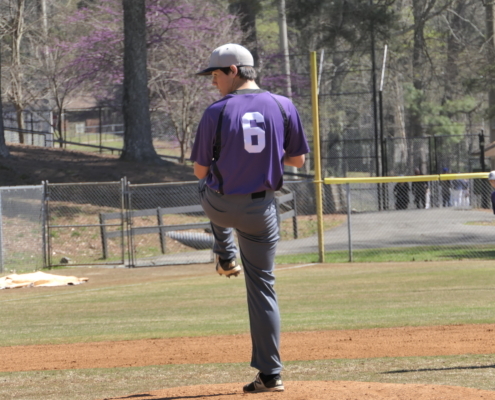 Junior pitcher Shane Hendrickson took the hill to face the Mustangs. The first inning started off with the first hitter advancing to first base and then stole second. 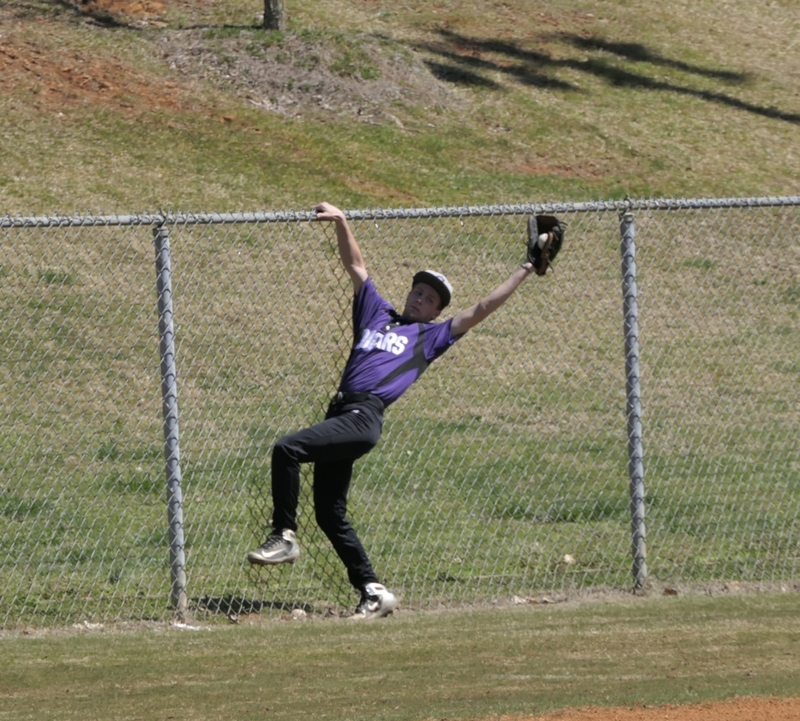 After this Hendrickson struck out the next batter and the third place batter lifted a very weak pop up down the third baseline where Senior third baseman Murphy Husnik climbed the fence and made an acrobatic catch for the second out of the inning. The cleanup hitter for the green clad visitor hit a seeing eye single up the middle scoring the runner from first. Hendrickson then struck out the next batter for the third out of the inning. Score after one half inning of play, TCS 0 and the visitors 1. 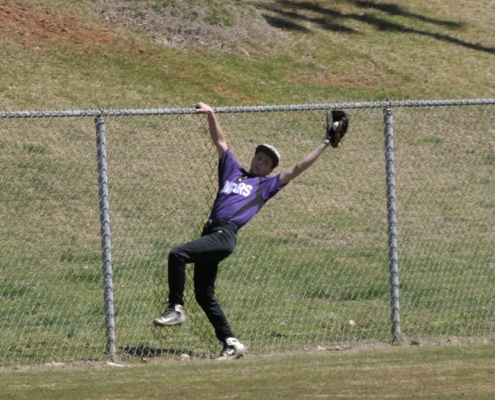 In the bottom of the inning the Cougars clawed their way back to tie the game. 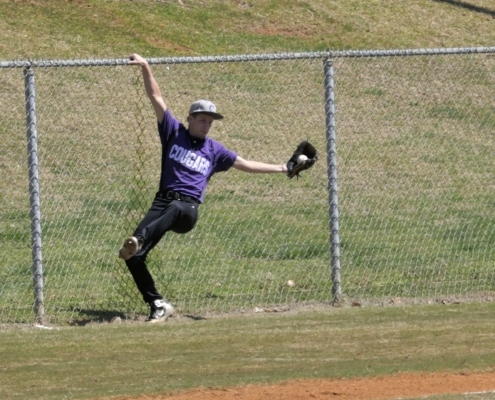 After two outs pitcher Shane Hendrickson then laced a shot into left center field for a solid double. 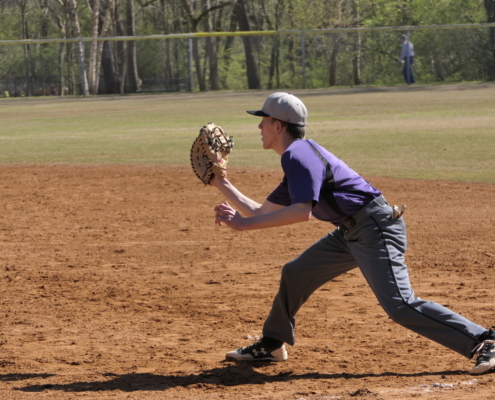 Hendrickson then stole third and scored on catcher Brett Boyles hit that resulted in an error by the shortstop. The next batter hit into a 5-3 putout ending the inning. Score after one complete innings of play Cougars 1, Mustangs 1. In the top of the second inning the first hitter hit a ball sharply down the third baseline which was tracked down by the third baseman Murphy Husnik but was unable to make the play to first and wisely held onto the ball rather than forcing the throw which could have resulted in an errant throw. 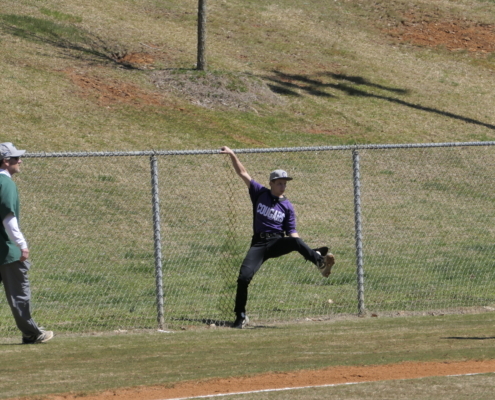 Junior Shane Hendrickson then took matters into his own hands and struck out the next three batters to end the inning. No change in the score. 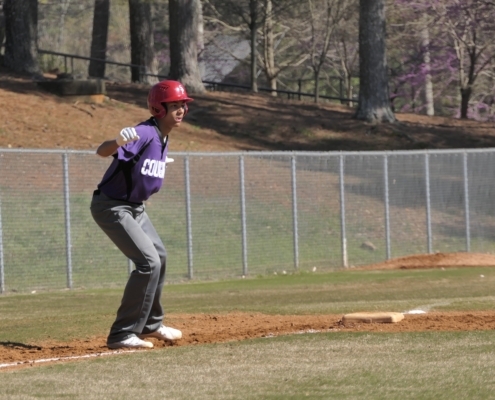 In the bottom of the inning there was little action other than a sharply hit single by Sophomore second baseman Elijah Joiner. 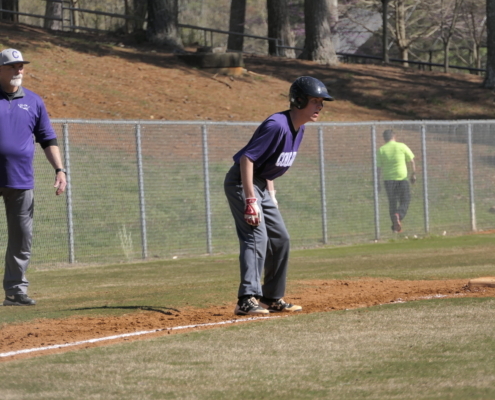 Joiner however, was stranded at first as the inning ended on a strikeout by the next batter. At the end of two complete innings of play TCS 1 and Mustangs 1. The third inning for both teams resulted in no score. 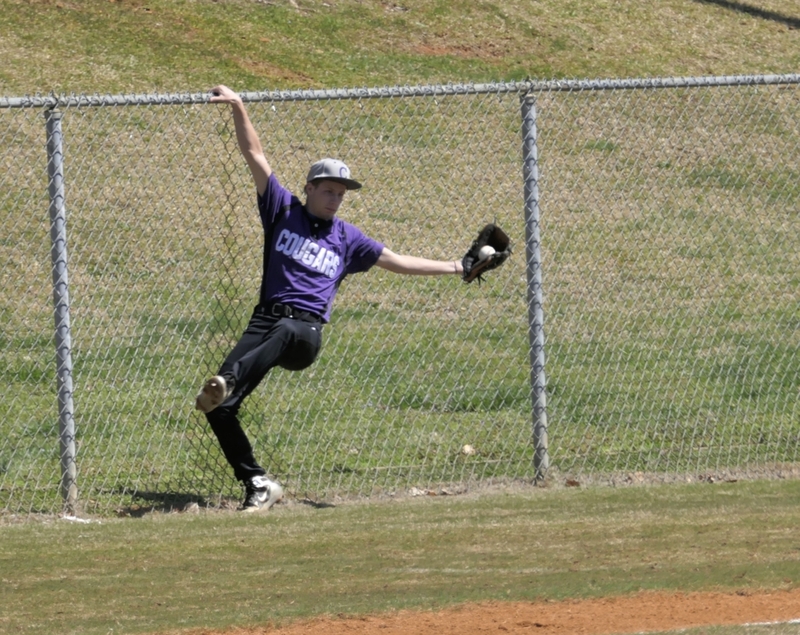 In the fourth inning pitcher Shane Hendrickson stuck out two and Junior shortstop Seth Goldberg caught a fly to end the inning keeping the visitors from scoring. In the bottom of the fourth inning Senior first baseman Alex Hoeve walked and promptly stole second and then third and eventually scored on a hit that resulted in an error by Freshman center fielder Aidan Briggs. Briggs then stole second and third but unfortunately ended up being left at third as the next two batters were unable to reach base. At the end of four innings Cougars 2, Visitors 1. The first batter of the fifth inning send a sharply hit into right field. The runner then stole second and advanced to third on a fielder choice by the 9th place hitter. The runner then score on an error. The inning ended on strike out. 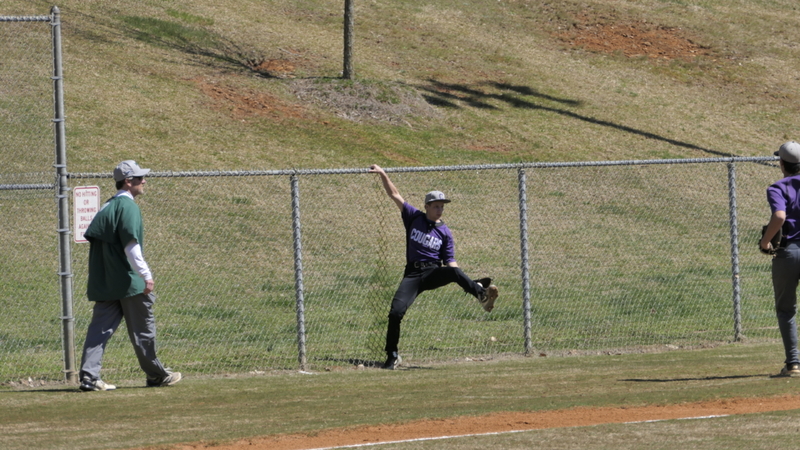 The scoreboard now reads Purple Clad Cougars 2 and the team in the other dugout 2. The Cougars were unable to mount any attack resulting in no scoring opportunities by the fan favorites. 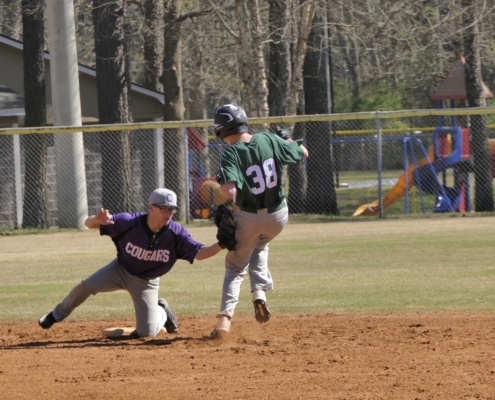 The top of the sixth inning the Cougars defense was on display. The first batter laced a solidly stuck hits that Junior shortstop Seth Goldberg speared effortlessly for the first out of the inning. 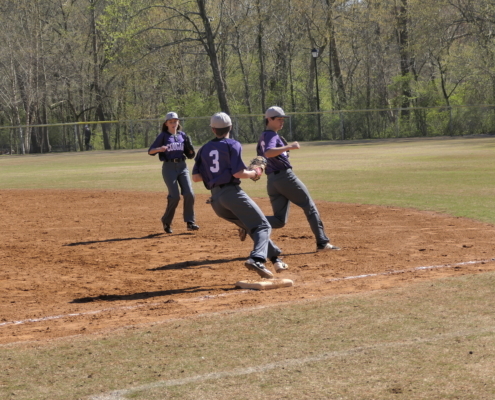 Next two seniors got into the act as the cleanup hitter for the mares hit a particularly difficult to handle ball that was gathered in by third baseman Murphy Husnik who threw a B B to first baseman Alex Hoeve for the second out of the inning. Junior pitcher Hendrickson then put the Mustangs out of their misery as he stuck he last batter of the inning on three unsportsmanlike fast balls. Score remains 2 – 2. In the bottom of the inning the Cats showed their claws as Senior catcher Brett Boyles send a shot up the middle resulting in a single. 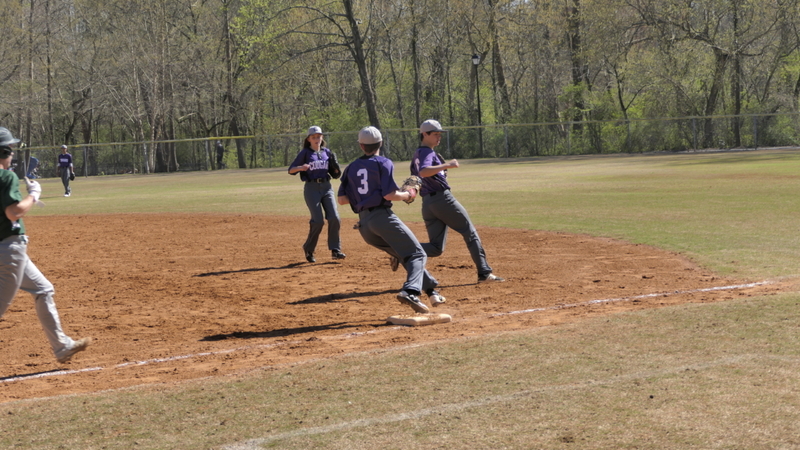 Boyles then stole second and third. Boyles then score on Senior Alex Hoeve’s single. 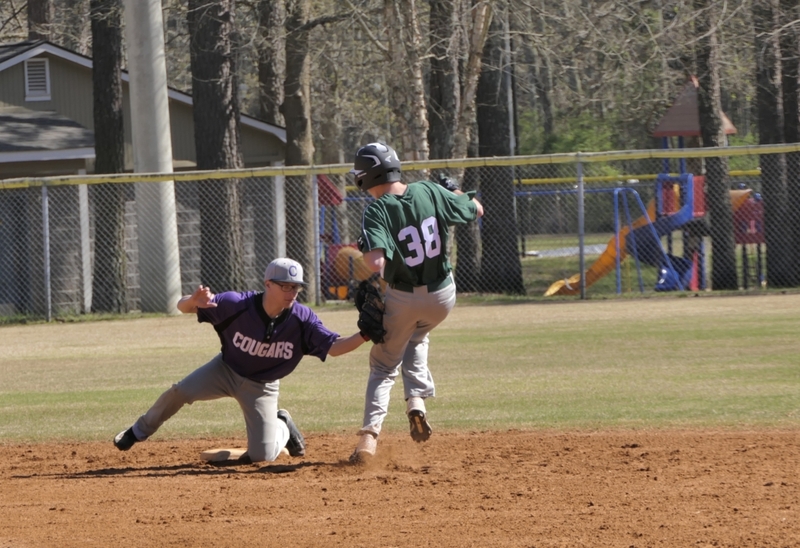 Hoeve also stole second and third and then scored on Freshman center fielder Aidan Briggs’ double. 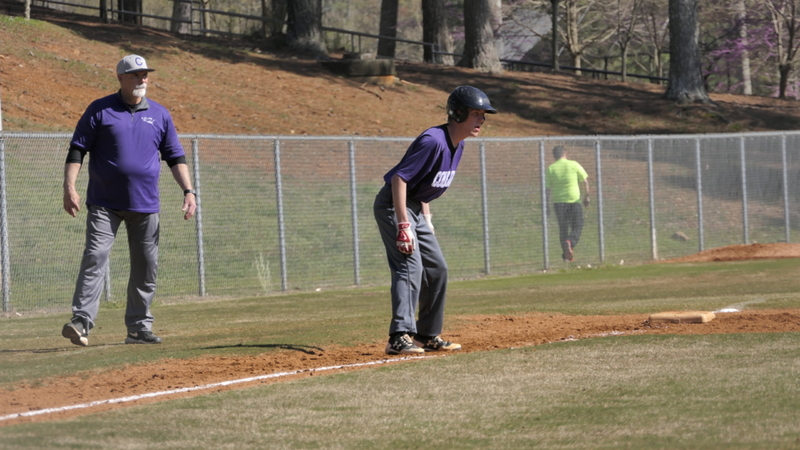 The next batter, Sophomore second baseperson, Alex Nebel walked putting runners at first and second. Both runner were left stranded as the next two batters were unable to reach base. The score at the end of six complete innings of play. Cougars 4, the Mustangs 2. 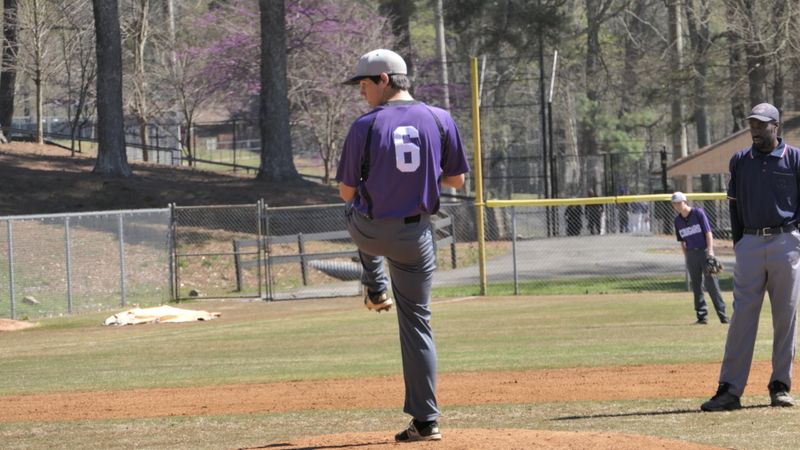 In the top of the seventh inning Junior pitcher Shane Hendrickson shut down their opponent as he stuck out three to end the game. Final score Cougars 4, Mustangs 2. The Cougars are now 2-3 overall and 1-0 in the region. The Cougars will now be on Spring Break. 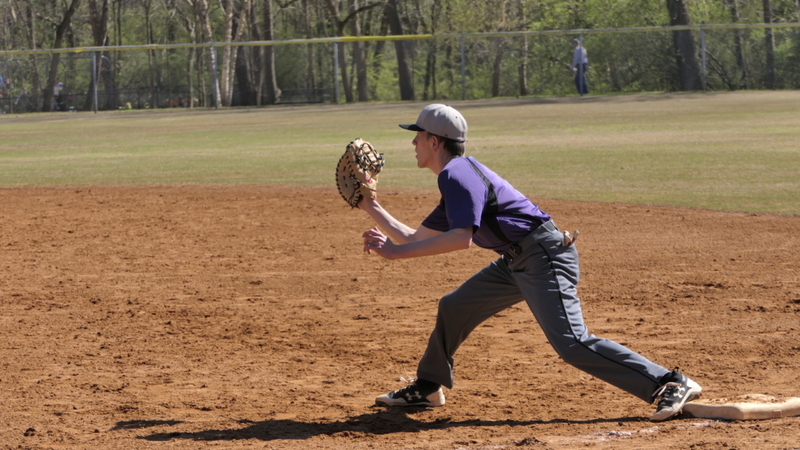 Next game: Mill Springs, Wednesday April 10. Location and time still to be determined. We would like to thank all of the fans that came out yesterday and wish everyone a fun and safe Spring Break. Honda Trinity Invitational: The Dedication Meet No Track, No Field – No Problem!